Many businesses (and people) choose this time of the year to start afresh with their content marketing, setting good content schedules and planning their first few posts. But ideas – like intentions – are fickle friends with us content people. We have them often, but they don’t always stick around to get the light of our keyboards on them. Here are just 4 ways that you can find (and keep) great ideas for your posts year-round. The best way to do this is to get the Evernote app for your smartphone and desktop. This great invention allows you to record your thoughts anywhere you are and syncs them across the wonderful internet. This means, of course, that all you great content ideas can be recorded for future use. It also means that if you share your list with others in your organisation, you can collaborate together on your content marketing; creating, curating and crafting a comprehensive programme of content that your audience will devour. The other reason it’s great to keep a list of ideas is that you are, then, very rarely going to have to sit down with a blank page in front of you wondering where to begin. There are probably some really obvious themes lurking around your marketing. These are spotted by looking for the same customer questions answered in various ways, or by the tell-tale signature of product lines. These are natural veins of themed content. What questions are you customers asking? What do they want to learn about? Break it down for them in a themed series of smaller topics. For example, we wrote a series about web copywriting that examined each aspect of the craft in some detail and we spread these out in a series of posts over many days and weeks. Ever looked at some of your ideas and thought that it wouldn’t make a great topic after all? Or perhaps you have started writing only to run out of steam a couple hundred words in. Fear not. The combination technique is here to rescue your sanity. Look for ideas or related topics you have on your list of ideas (you are doing this now, yes?) and combine them together to create a larger and more interesting topic. This works wonders when you’re a stuck with little to say about one narrow subject. Trust me. All too often we get stuck, noses down, hardly daring to see what is going on around us for fear of missing an ‘important’ email or tweet. But ideas abound out there and it’s a good copywriter who looks outward rather than inward for inspiration. There are many good blogs to read and I’m sure you have several that you regularly peruse for entertainment or interest. Take a close look at your favourite sites and note to yourself all that ways you could adapt their content marketing to suit your own. 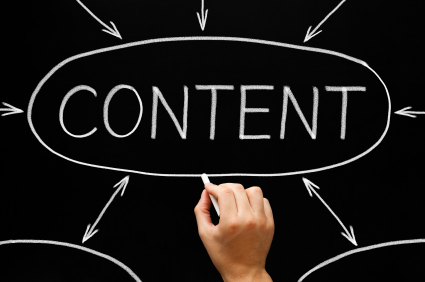 For example, you’ll see many sites use guides, reviews, top 10s, and all sorts of lists as common types of content. They do this because these pieces of content make for popular reading. See what fits and could which ideas you could use to kick-start your own content. 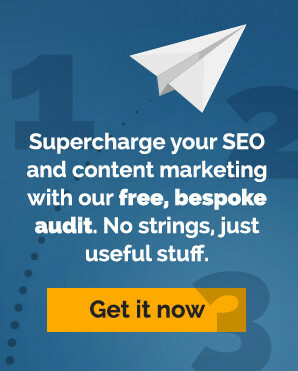 ← SEO copywriting for homepages: what do you need?